Today my incomparable daughter turns twenty. It sounds trite to say, “I was there when you were born.” But I was, actually. Where did two decades go? I can see the passage of time in the wrinkles on my own face, but it seems like such a short while ago that I was pushing a double stroller, doling out Cheerios and wondering how I’d make it to the end of the day. I loved parenting young children, and in my memory those years take on a rosy glow. But truth be told, it wasn’t always so delightful, so feel-good, arts-‘n-crafts-sy. Baby #2 (Sarah) challenged me with her strength of voice, of will, of personality. I think she was one of those “spirited children.” But since my first two kids were born seventeen months apart, there were a number of years when I didn’t get past the first chapter of my books — so I never benefited from much of Mary Sheedy Kurchina’s advice. I did, however, enjoy re-visiting classics from my own childhood: Goodnight Moon, Ferdinand the Bull and Sylvester and the Magic Pebble. Now she’s nearly grown. Not much left for me to do but be her friend, occasional mentor and guide, and forever biggest fan. Happy Birthday, Sarah! I love you! Today my last child takes his last SAT. He took it earlier this year, and conventional wisdom suggests taking it a second time can help you improve your scores, but you need to be careful about giving the appearance on your college applications that you’ve taken it “too many” times. Meaning you have to guard against looking as though you’re spending time on marginal score improvement when you could be doing something more worthwhile. You know, like applying your knowledge of computer programming to organize carpools in your town that would save individuals gas money, help people get to know their neighbors, and reduce CO2 emissions — thus in your own small way, help save to our planet. But seriously, I got up early this morning to prepare one of my son’s favorite breakfasts — fried eggs, bacon and chocolate chip coffee cake I had baked yesterday. 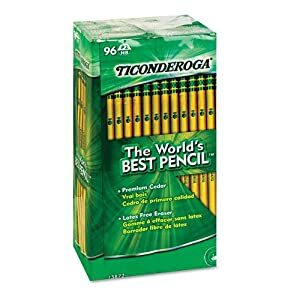 Earlier in the week I had purchased a box of Ticonderoga #2 pencils for what would probably be the last time. 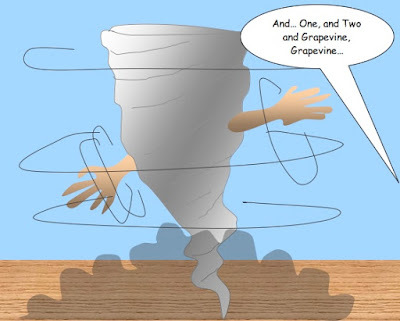 When I woke up, I offered a prayer that all would go well for him today — and I thought about the old saying that, as long as there are exams, there will be prayer in schools. But mainly, I reflected on the fact that this was “my” last SAT. Our family has acquired a lot of logistical knowledge about preparing for and taking the SAT. Based on the experiences of three children, we now try to avoid Gunn High School for standardized tests due to the long wait for a left turn from the route we take from our house, its single driveway that backs up easily when everyone arrives at once, and overall, Gunn’s poor parking situation. Palo Alto High School functions better on these factors, in my kids’ opinion — plus it is located close to excellent après-test restaurants for lunch. However, the last time Micah went there, his test was canceled due to someone setting off the fire alarm — the culprits were never found, but it was assumed to be a senior prank. Today he went to his favorite location, Los Altos High School. Although a bit farther away from our house, LAHS has easy parking, even some covered spaces, and it’s small enough that they take less time to organize students into classrooms. Thus they tend to start (and finish) their tests on time. But enough about my children and their SATs — back to me. My father died on April 8 at age 84. His obituary gives facts about his life, but the truth of a person’s legacy lies in his character. The following post is the text of the eulogy I gave at his memorial service on April 16. Our father was the fourth of six children, the last of his siblings to depart this earth. He attributed his “thrifty” (some might say “cheapskate”) behavior to being, as he called it, “a child of the Depression.” His father owned a small meatpacking company — so while the Hamners had to scrimp on things like clothes, they always ate well. Because tuberculosis had weakened my grandfather’s lungs, they moved to the edge of town, where he could breathe fresh country air. Bob’s father liked horses, and he bought a pony the kids named Polecat (on account of his ornery personality), plus three more horses they called Peter Pan, Ping Pong and Popeye. Dad’s older brother, Jack, was a champion rider, and Dad went along to horse shows as Jack’s “groom.” But not everyone in the family enjoyed the horses. The eldest sister, Elizabeth, saw them as examples of her father’s chauvinistic preference for spending money on silly things like livestock rather than on higher education for his female offspring. She nicknamed them Vassar, Wellesley and Smith. Their mother would grow angry when the horses got out of their pasture and munched on her rosebushes. Our father used to laugh about how she went out in frustration after the horses ruined several of her rose plants one day, and she pulled up the rest of them as though they were weeds, just so the horses couldn’t eat them, too. I think having a strong-willed mother probably prepared Bob for fifty-three years of marriage to Donna! Our father’s career as a Southern Baptist minister began in a tiny church on the Mexican border, in the town of Eagle Pass, Texas. He spent nine years there and made close friends, both Americans and Mexicans. These years undoubtedly shaped his attitude of tolerance for different types of people and viewpoints, as well as his theology.But what about Donna, the love of Bob’s life? Well, the two of them were set up in 1958 by a mutual friend. Actually, Bob (who was 31 years old) initially refused to go out with Donna because, when he asked how old this potential date was, his friend confessed she was not quite 20. After he said “no thanks,” their friend had to get crafty: she waited a couple of weeks, then simply told Bob she had someone she thought he’d like to meet. He asked how old this girl was, and the friend replied, “She’s old enough.” Bob, who was still living on the Mexican border, took Donna out the next time he came to San Antonio. For him, it was love at first sight. By their second date, when they celebrated Donna’s birthday and Bob learned she was only 20, he realized his friend had tricked him. But it was too late — he was already smitten! Donna, however, needed a bit more time. Thanks to Dad’s persistence and Mom’s eventually realizing he was the right man for her, they were married in June 1959 and moved soon thereafter to San Antonio.